In connection to the exhibition “Crisply Nordic. Architect Erik Bryggman”, the curator Mikko Laaksonen will give a lecture in the Rotermann Salt Storage on Wednesday, February 6 at 6 p.m. In the lecture “Erik Bryggman: Classicism, Functionalism and New Empiricism” the curator will concentrate on the life and work of Erik Bryggman (1891–1955) as one of the most important Finnish architects of the 20th century, also bringing out concurrent parallels with Estonian architecture. At the beginning of his career he designed a number of residential buildings in Turku in the Nordic Classicism style, which are considered some of the finest examples of this style in Finland. In 1927–1929 Bryggman, together with architects Alvar Aalto and Hilding Ekelund, introduced Functionalism to Finland. The Turku Fair (1929), designed jointly by Aalto and Bryggman, was a manifesto of Functionalism. The Vierumäki Sports Institute (1931–1936), the Åbo Akademi University Book Tower (1934–1935) and Sampo House (1936–1938) are key Functionalist buildings in Finland. 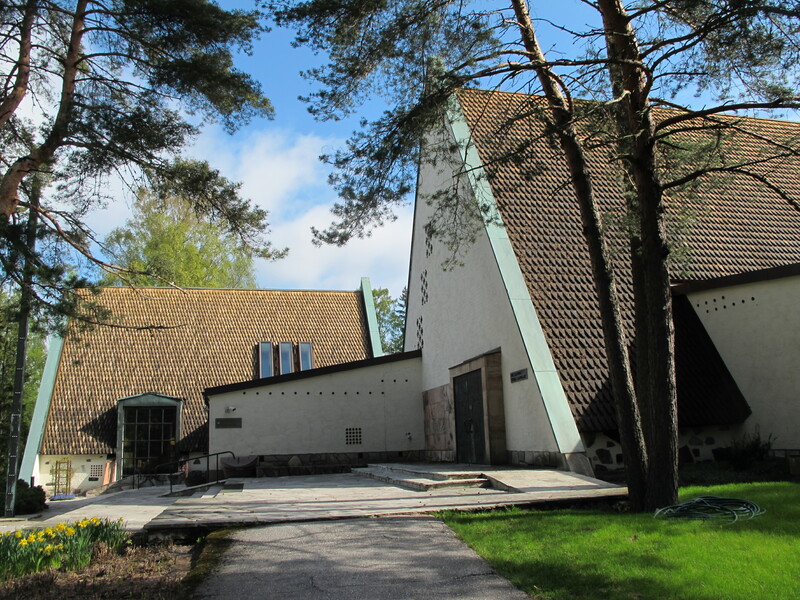 The Resurrection Chapel (1938–1941) in Turku established Modernism in the design of Finnish churches. During the post-war reconstruction era Bryggman designed a number of schools, hospitals and residential buildings. His final design works include the Lappeenranta, Lohja and Honkanummi Funerary Chapels and the restoration of Turku Castle (1939–1961). Mikko Laaksonen (b. 1975) is an architectural historian based in Turku who recently published the monograph “Architect Erik Bryggman: Works” (Rakennustieto, 2016). Laaksonen’s other books include “Turun raitiotiet” (“Turku’s Tramways”, 2008), “Turun seudun arkkitehtuuriopas” (“Architecture Guide to the Turku Area”, 2013, with Juri Nummelin), “Turun seutu kartoin” (“Turku Area on Maps”, 2015), “Turun puutalot” (“Wooden Houses of Turku”, 2016), ja “Arjen rakentamista Turussa. Arkkitehtuuria 1940- ja 1950-luvuilta” (“Building the Everyday in Turku. Architecture of the 1940s–1950s”, 2017). The lecture will be in English. Free entrance. The exhibition “Crisply Nordic. Architect Erik Bryggman” is opened until the 23rd February 2019.